Many people are now throwing out those plastic storage containers that have a habit of absorbing stains and replacing them with Pyrex glass storage containers with lids. Pyrex Glassware was created by Corning glass scientists who were given the task of developing a glass for railroad lanterns that would not explode when the heat of lantern heated up the glass on those cold winter nights. Once they accomplished this, a request by one of the scientist’s wives led to her being presented with some of this glass in a pan-like shape in which she baked a cake. From that cake baking, the Pyrex brand was born. 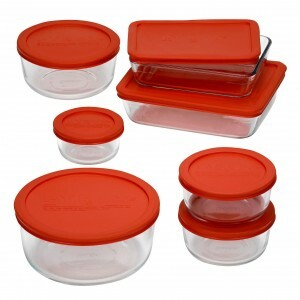 The Pyrex Round Storage Box Set With Lids can be purchased in a set of 6, 14, or 18. The dishes in this set (depending on which set you choose) include 1, 2, 4, and 7 cup size bowls with tight fitting lids to help keep your stored food fresh and tasting good. These dishes are quite easy to stack and store, making them ideal for home use, even in homes with smaller kitchens. 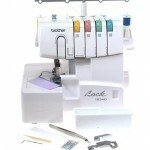 The plastic lids are BPA free and normally come with a 1 year limited warranty. Customers were delighted with this Pyrex set of storage bowls and found that they met their needs perfectly. The Pyrex 6 Piece Glass Rectangular Storage Set is perfect for those casseroles and even sheet cakes, allowing them to be easily stored in the same container they are cooked in. 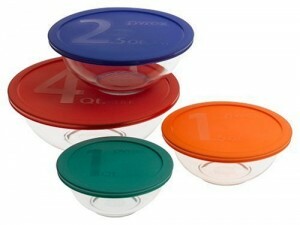 The 3 Pyrex Storage Dishes are 3 different sizes – 3 cup, 6 cup, and 11 cup. which means there should be a size to meet most of your needs. There is a 2 year warranty on the glass and 1 year warranty on the lids. Customers seem really happy with this Pyrex 6 piece storage set and felt it met all of their needs and expectations. The Pyrex Smart Essential 8 Piece Mixing Bowl Set With Colored Lids is the perfect set for mixing cookie and bread dough, making frostings, combining glazes and marinades. This set features 4 different size mixing bowls with different colored lids. 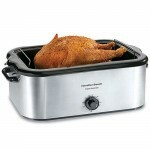 The sizes of these bowls are 1 quart, 1 ½ quarts, 2 ½ quarts and 4 quart bowls with matching lids. Reviews for the Smart Essential 8 Piece Pyrex Mixing Bowl Set With Colored Lids are extremely good, with most customers really liking this mixing bowl set and finding it to be both easy to store and extremely useful. Customers seem to really like this glass bowl set with colored lids and found a multitude of uses for them. The Pyrex Bake And Storage Set combines both Pyrex glass bakeware and round storage bowls, making for an extremely versatile set of 7 dishes, each with their own lids. Reviews for the Pyrex Bake And Storage Set are extremely positive, with many customers feeling that this Pyrex glass storage set is a perfect starter or additional storage set that meets their needs. If you are looking for some Pyrex glass storage containers, then one of these sets just may meet your needs.